Your tour begins in Pemba, a small port city in North-East Mozambique. On arrival at the airport you will be collected and transferred to your accommodation for the night, Pemba Beach Hotel and Spa. The rest of the day is free to relax – enjoy the hotel pool, sample the local seafood, or take a walk down to the marina. After an early start, transfer from your hotel to the airport for your flight (90 minutes) to Lugenda, Niassa. Lugenda is a private concession of the Greater Niassa Reserve, Mozambique’s top safari attraction. You spend 3 nights at Lugenda Wilderness Camp, a small, intimate safari camp comprising 8 en-suite chalets overlooking the Lugenda River. Niassa Reserve, at 40,000 square km, is one of Africa’s largest wilderness reserves (twice the size of Kruger), yet also one of its least visited. It is not as rich in game as the more famous safari parks of East and South Africa, but its varied terrain, vast scale, and limited visitor numbers make it a wonderful place for those looking for an off-the-beaten track safari. Game-viewing at Niassa generally takes the form of game drives in open vehicles, but there are also options for canoe safaris (primarily at the start of the season between May and August, when the waters are high) and walking safaris. Mobile camping is also an option, and can be built into your itinerary in place of, or in addition to, one of the nights at Lugenda Camp. Your booking at Lugenda is inclusive of all meals and local drinks and spirits. After breakfast, transfer to the airstrip for your 90 minute light to Medjumbe Private Island, Quirimbas Archipelago. Here you spend three nights in a private beach chalet. Medjumbe, at 1km by 500m, is one of the smallest islands in the Quirimbas Archipelago, yet also one of its most beautiful. The waters are warm and welcoming, and allow for a number of water activities: diving, snorkelling, deep-sea fishing, as well as water sports. Your booking at Medjumbe is inclusive of all meals and local drinks and spirits. Take the morning flight to Pemba to connect with your international flights. 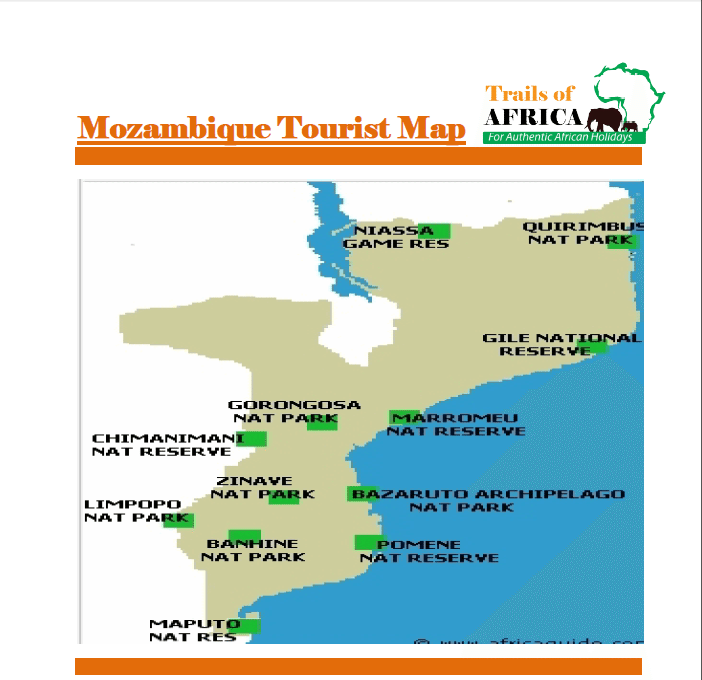 Unless we have booked your international flights into and out of Mozambique, your tour begins and ends in Pemba.